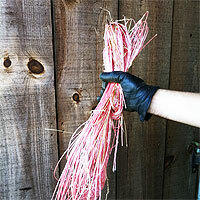 She even has a great how-to article for making your own hay twine rug. What kind of things do you use hay twine for? Anyone built a giant hay twine ball yet?